You have probably noticed the Pinterest button next to Facebook and G+ and the plethora of other buttons appearing on websites calling you to some sort of action. Back in 2010 Pinterest was only available to members via an invite; new members would have to request an invite to join. Due to its expanding popularity however, the site is now open for everyone to use. Could this huge burst in popularity be a result of its once exclusive past? The fact that it was invite only may have merely served to make the site sought after by the public. Pinterest is a very visual social noticeboard. Imagine it as a pinboard in your room, full of photos and cuttings of the things that interest you. This is, in essence, what Pinterest is. You can create a board that is full of holiday photos, videos and images of places where you next want to go. This board can be shared with others who can like your images, add comments and share them on their own boards. 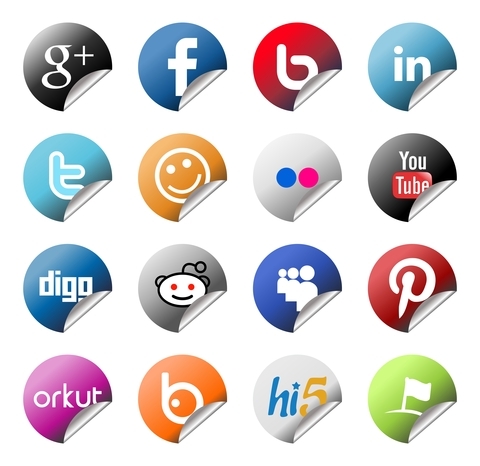 Images or videos are referred to as pins. You can repin, or share, someone else’s pins on your own board or merely like and comment on them. Pins can also be shared on Facebook or Twitter. Boards are generally created under specific topics which can be on fashion, design, travel or even movies. Thus you get boards titled “The Greatest Movies of All Time” or “Ideas for our New Home” so the site can be used for fun as well as pursuing an interest or getting family and friends involved in those important decisions. The unique thing with Pinterest is its ease of use and accessibility. It has a handy bookmarklet which you can download onto your toolbar. If you come across an image on the internet that you want to add to your board, you simply use the Pin It button on your toolbar. You can also add a Pinterest button to your blog or website so that others can follow you and of course there is the all important iPhone app which allows you to add images whilst you are out and about. As with all social media, Pinterest allows you to network and make useful contacts. If you group your pins together by topic, you also get the chance to see other pinboards that have been created under the same topic. In this way you can browse through related boards, follow others, comment on their pins and repin their images to your boards. Everytime someone comments on your pin, likes it or follows you, their followers also get to see it and so on. They also get to see any comments you make on other pins. This is a great way in which you can expand your pinboard. Pinboards used to be public but after concerns about violation of privacy, Pinterest made it possible for users to create Secret Boards. These boards are only shared with specific people and do not appear on the website’s roll of popular boards. As the site has increased in popularity in such a short time frame, some security issues have not dealt with perhaps as effectively as they could have been. In the summer of 2012 Pinterest were forced to ask users who had experienced problems with locked accounts and hackers to complete a questionnaire on the issues they were experiencing which would seem to suggest that they didn’t know themselves how security was being breached. Pinterest have now issued a guide aimed at helping users to keep their account safe. Spammers were another security headache as they would use the boards to post malicious links or try to redirect users to other sites. As with any social media, it pays to be cautious and take care about who you are sharing images with. Yet Pinterest has shown that there is still room for other types of social media out there and whilst the site may have experienced teething problems, overall it’s responded well and has certainly taken the internet by storm. « Blogging – Another aspect of Business and Life Online. But are there any Security Pitfalls?